Just weeks after his most recent poetry collection hit the shops, Clive James’s publishers have announced that he will publish a second book this year, a collection of literary reflections, Latest Readings, due out this summer. James, who was diagnosed with terminal leukemia in 2010, will use the book to tackle subjects ranging from American Power to Women and Hollywood and “Naipaul’s Nastiness”. The collection of short essays, dedicated to “my doctors and nurses at Addenbrooke’s Hospital, Cambridge, UK”, will mark a return from the melancholy of his late poems to the witty erudition of his earlier years as critic and commentator. Conrad crops up in several essays, but James has room for lighter authors too, writing of how he was raised off his deathbed by his daughter’s introduction to Patrick O’Brian’s Jack Aubrey novels. Latest Readings will be published by Yale on 25 August. Judging by their topics, these essays haven't been previously published (Kevin can correct me if I'm wrong), which makes the new book even more of a must-buy. I managed to get an early review copy of Latest Readings. Despite the occasional valedictory note, it is more generally marked by a lightness of touch and a sparkling enthusiasm for the world of books. James revisits such modern masters as Conrad and Hemingway, discovers new enthusiasms - such as Olivia Manning - or acknowledges his first literary love, poetry, in short pieces about Larkin, Kipling and Richard Wilbur. There is also much about the movies and the Second World War. But the book is also about the bibliophile's addiction; how books do not only furnish a room, but several homes too. James is forever coming clean about his addiction, shuttling back and forth from his favourite Cambridge bookstalls with towering piles of volumes his home cannot practically accommodate. In a moving coda, James wonders if all he has written is as significant as the kindness shown by a single night nurse when she came to his rescue one night in hospital. He also reveals the words he would like about himself on any future memorial plaque. But although touched by an acute sense of his own mortality, Latest Readings is more generally a bright, uplifting and highly readable set of literary portraits, a hymn to a lifelong love affair with books. Clive James’ Latest Readings provide a source of inspiration, wit, and lessons about life and art..
By neatly deploying several of his many talents, Clive James has managed to treat his imminent death in a way that’s at least mildly amusing and characteristically charming. In 75 years of life, most of them spent in Britain, James has been a poet, a TV broadcaster, a critic and the best-selling author of memoirs. He’s done all of these things exceptionally well, so no one should be surprised that he’s now dying in an exuberant and altogether literary manner. In 2010 he was diagnosed with both leukemia and emphysema, the latter related to the 80 cigarettes a day he consumed at the height of his nicotine addiction. Immediately upon hearing the bad news, which seemed a death sentence, he began writing his last words. But as time passed the last words kept lasting……..
'Latest Readings' comprises 30 essays written, as the title suggests, in the saddest of circumstances. Diagnosed with terminal leukemia in 2010, Clive James does not seem to be raging against the dying of the light so much as reading until it finally goes out. Late, later, latest: these are almost last readings, undertaken with an affection fit for James' fantasised blue plaque: "I would like it to say: 'He loved the written word, and told the young'." You could see this as a book of essays about the reading habits of a man as he approaches the end. Or you could see it as a superbly compressed memoir. It made me think of the feeling you get when you’re cramming for an exam: you’re in control of the material and time is short, and you’re finally aware that if you had all the time in the world you’d enjoy this stuff so much more. But then again, if you had all the time in the world you’d never have come to this exact realisation. At the end of life, reading as therapy. The author's most recent essays and poems are haunted by death - yet radiate life. 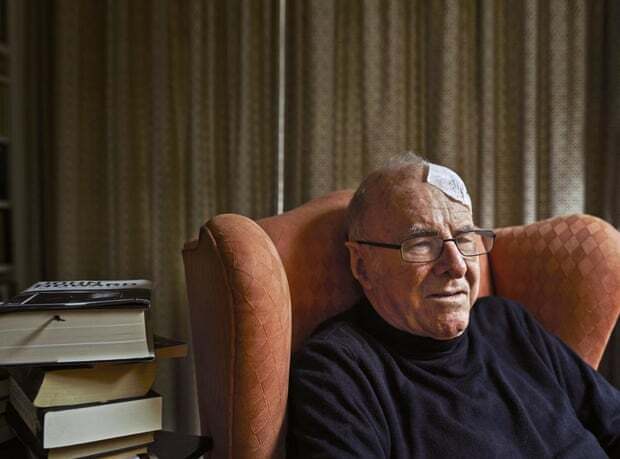 Clive James at his home in Cambridge, England, earlier this year. No literary artist, Martin Amis once wrote, ages more slowly than a poet, "some of whom (Yeats for instance) just keep on singing, and louder sing for every tatter in their mortal dress". He could have been discussing the late-career flourishing of his old friend Clive James who keeps on singing even as his mortal dress is shredded by leukaemia, bouts of pneumonia and chronic emphysema. We all live with the knowledge of mortality, with the sound of the clock ticking. But for five years now the clock has been threatening to stop ticking altogether for James: he has in effect been living under a death sentence that miraculously keeps being extended, like some death-row inmate whose lawyer keeps winning him a last-minute reprieve from the executioner's needle. Clive James was diagnosed with the leukaemia that will sooner or later be the death of him in 2010. Given his talents, his gift of the gab, it is fitting and fabulous that his goodbye is still going strong. So far James’s refusal to go gently into that long Saturday night has produced two volumes of verse, a fine translation of The Divine Comedy, a book of notes on his favourite poets, and this new volume of short essays. He’s written more in the shadow of death than many writers manage in a procrastinating lifetime. This book, he says, by way of introduction, came from a simple invitation from the editors at Yale: write about the books you are reading (perhaps, the invitation went without saying, the last ones you will read). When he first got his diagnosis James was at a loss to know if he would open a book at all. Boswell’s Life of Johnson cured him of that lack of purpose. The question of what to read was obvious: he should reread all the books he’d loved, and read all the ones he thought he might love but had never got round to, with as much Johnsonian urgency as he could muster. A move from his London flat back to the proximity of family in Cambridge necessitated the culling of half of his library. He has spent much of the time since building it all back up again, trawling the tables of Hugh’s bookstall in the university city’s market square for bargains. Is literature therapy, comfort food, or a route to self-knowledge? Four literary critics pick up where Montaigne left off. Over the past few weeks I have been reading four enormously enjoyable books about the pleasure of reading. The richest of them is Curiosity by Alberto Manguel, a Canadian writer, editor, translator and critic who “would rather define himself as a reader”. The other three are collections of essays, by the poet and translator Michael Hofmann; James Wood, resident literary critic at the New Yorker; and Clive James, the “memoirist, poet, translator, critic and broadcaster”. It is striking that none of them has made it their profession to teach literature at a university (though Hofmann and Wood supplement their earnings with visiting faculty positions). It is even more striking that the kinds of things they say would never (well, hardly ever) be said by a professor in a department of English: “art is the nearest thing to life” (Wood, quoting George Eliot); “This transmigration of souls is literature’s modest miracle” (Manguel on how “if we recognise ourselves in Cordelia today, we may call Goneril our sister tomorrow, and end up, in days to come, kindred spirits with Lear, a foolish, fond old man”); “Ted Hughes is at least arguably the greatest English poet since Shakespeare” (Hofmann); “Finally you get to the age when a book’s power to make you think becomes the first thing you notice about it” (James, on reading and rereading in the knowledge that he is in the endgame of a life of reading). These are books about how books help us to be thoughtful, feeling human beings. They are works of empathy even as the spirit of criticism shines through them, provokingly in Hofmann, very subtly in Wood, sometimes flashily but always sincerely in James. ….. Conversation is the key: the problem with “academic” literary analysis is that too often it sounds like talking at the reader or, worse, talking down to him or her. And the style is all too frequently that of the monologue. But the experience of reading the classics is a genuine dialogue with the dead. For Manguel, Dante and Montaigne are living presences. As is Conrad for Clive James (he made me think: “Yes, I must go back to Conrad, haven’t read him for years and years”). When James is dead he will live on through his books. In the preface to his great collection of essays The Dyer’s Hand, W.H. Auden claimed: ‘I prefer a critic’s notebooks to his treatises.’ Auden’s criticism is like that: a passage of insights instead of a single sustained argument, and the same is true of Samuel Johnson, whose works are a pleasure to read for the feeling of the pressure of a great mind at play. Clive James belongs in this company. His new book Latest Readings is a kind of reading diary: a collection of short essays, each prompted by one book or a handful he happens to be reading. They are not in any logical order or sequence, but are given unity by two things: one biographical, the other stylistic. James is — as has been widely publicised over the past two years — now dying, of leukaemia and emphysema, and while he only briefly mentions it here, this whole book is marked by a sense of medical struggle and imminent extinction. Olivia Manning’s cycle of novels, he writes, ‘makes now more bearable’. So the title contains a very Jamesian pun: it means both most recent and, implicitly, last. He will not be reading these books again. When I interviewed Clive James recently he kept using the word “eventually”. For a man who, in September 2014, published in The New Yorker a poem called Japanese Maple that announced his imminent demise, sticking around is getting embarrassing. His illness, first diagnosed in 2011, has coincided with an improvement in the drugs available to treat his leukaemia. 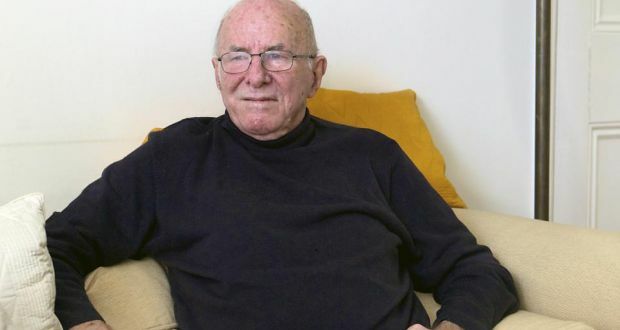 Australian poet, cultural critic and novelist Clive James, who in 2010 announced he had been diagnosed with leukaemia and was “on limited time”, said a new drug has helped to keep his cancer at bay and allowed him to continue to read and write. In an interview with the ABC’s Mark Colvin about his new book, Latest Readings, James, 75, described himself as “unreasonably well” despite his diagnosis, which last year he told interviewers had left him fearful of soon losing his eyesight and ability to work. Colvin commented that James sounded more bright and energetic than back then, to which James replied: “People keep telling me that with an undercurrent of suspicion, as if I’ve been faking the whole thing, and I suppose they’ve got a point. ”People keep telling me that with an undercurrent of suspicion, as if I’ve been faking the whole thing, and I suppose they’ve got a point. “I’m unreasonably well-looking for where I’m at,” he continued. “Really what’s happened is my leukaemia came out of remission. Quite seriously, everything was taking a dive. But a new drug came online which is holding the leukaemia in check, but we have to rebalance the antibiotics. Diagnosed with terminal leukemia in 2010, Clive James has made of death a different kind of inspiration than the perennial dark muse it is for most writers. Rather than dwell on his stance squarely in the crosshairs of oblivion, James, the Australian-born writer who is one of the U.K.'s most eminent and famous literary personalities, has doubled down on his writing practice, or perhaps simply kept up his prolific pace. In just the past five years, he's published retrospective and new collections of poems, a landmark translation of all three books of Dante's Divine Comedy, a career-spanning selection of essays, a volume of reflections on poetry, and now Latest Readings, a collection of short essays, most only a couple of pages, on his own list of essential books. For the literature-obsessed, this slim volume is a delectable gift, a reminder of why one reads at all, especially when the mortal countdown timer is ticking loudly. And it proves that James is the rare literary critic who can speak deeply to a general audience, with a sense of humor and levity that suggests that high art can indeed be for everyone. These essays are not earth-shattering re-evaluations of the classics. Instead they are personal encounters with books that have shaped one very great and capacious mind. Particularly moving are two pieces on Ernest Hemingway, about whom James feels a powerful ambivalence.At first, he calls The Sun Also Rises "the perfect expression of a young writer getting into his stride." Yet, "reading it once again, and at the end of my own career, I am less envious — clearly Hemingway's own personality had always scared him into suicidal excess — but still enchanted by a prose style that gave us such a vivid semblance of simplicity." He also rereads, during a prolonged hospital stay, Joseph Conrad's Lord Jim, which he had last read as a university student; then, he found it "a boring book." Now, with a lifetime of deep reading in history, politics and literature under his belt, it paints "an international historical picture," though it is "no more exciting than it had once seemed, but a lot more interesting." I last read The Sun Also Rises long enough ago to have forgotten all but the odd detail. But the sharpness of the details I remembered — the chestnut trees of Paris, the running of the bulls in Pamplona — was a sufficient reminder that the book had always struck me as fresh and vivid, the perfect expression of a young writer getting into his proper stride. When I first read it I was a young writer myself, and scarcely into my stride at all. On my way to Clive James’s house, I pass a poster for the Cambridge News. “Moment Armed Police Swooped on My Brolly.” It is the sort of quintessentially British headline that I imagine James would notice with pleasure on his careful amble into town. He leads us through a cavern of books into the main room with a small kitchenette and a vast desk under skylights. On it are piles of New Yorkers, doctors’ notes, and a red and black notebook. A sticker on it reads: “Clive”, with his address. On his laptop, a long poem-in-progress is being transcribed from a handwritten book, with scribbles and a stanza crossed out. Sitting in his garden at his Cambridge home beneath the Japanese maple immortalised in one of his poems. 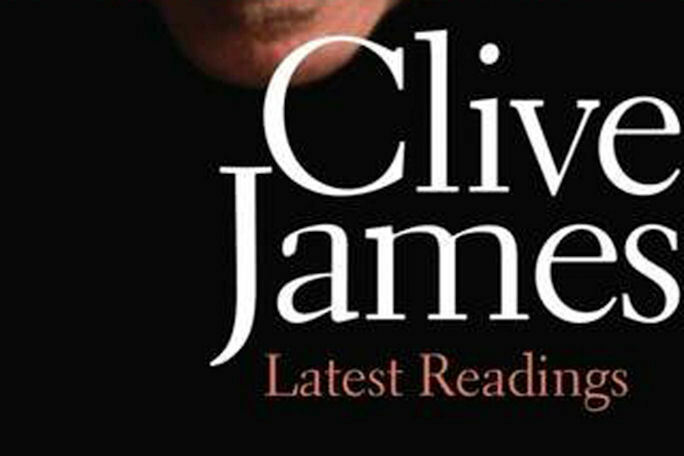 Clive James has written more than 30 books, including novels, literary criticism and poetry. In 2010 he was diagnosed with terminal leukaemia. The news made him wonder “whether it was worth reading anything new and substantial, or even re-reading anything substantial that I already knew about”. But James, whose career as a writer has been overshadowed by his time as the high-profile presenter, in the 1980s and early 1990s, of Clive James on Television and other series, quickly decided that “if you don’t know when the lights will go out, you might as well read until they do”. The essays in his collection prove that this was a wise and life-enhancing strategy.